Hi has everyone heard of Hotel 626? It's like this creepy online game where you navigate through a haunted hotel! There are different stages and some are really cool, like having to "sing" to a ghost girl and if you don't do it right she sits up suddenly and snarls at you. Not for the faint-hearted (not mentioning names). The whole thing is by Doritos or something (I see no link between horror and potato chips either but whatever). 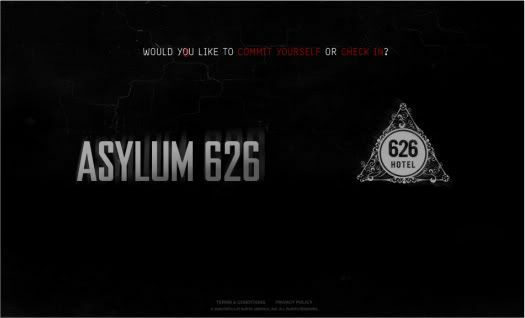 Anyway, the main point of all this is that now there's Asylum626! 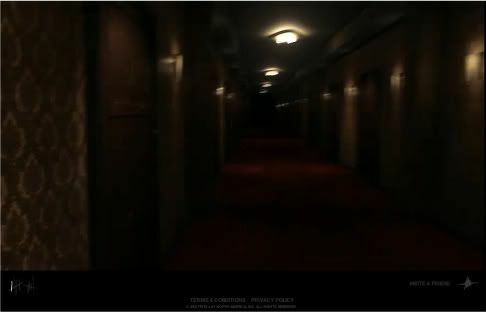 Hotel corridor in the first part of Hotel626. Got bored to continue cause I've done the stages a few times before. 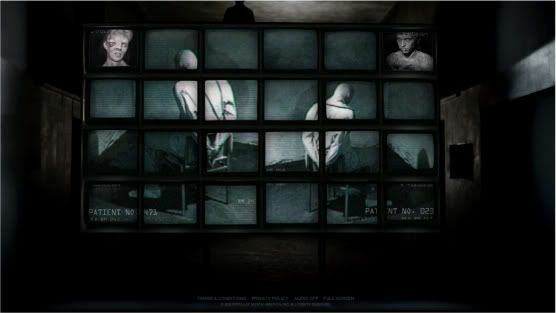 Basically in Asylum626 you kind of watch a short horror show from the viewpoint of the victim.. Too bad there's no games/stages involved, just a short clip that's pretty creepy. By the way you can let the website have access to your webcam & microphone etc, it's okay. P.S. You can only access the website from 6pm to 6am, but if you're really impatient (and chicken), you can just change your computer's clock. P.P.S. This is not an advertorial or anything. I'm in school studying and I'm bored.